Spotting Sugar when it’s masked by other names on Nutrition labels can be somewhat tricky if you don’t know what you are looking for. Beware of the hidden sugars lurking in food labels. It’s been a while since I’ve been on the subject of nutrition, almost as long as my recovery. Don’t think that hasn’t been in the forefront while I’ve been recovering. In fact, what has enabled me to continue to recover as quickly is being mindful of my nutrition. I will admit though I’ve not been perfect and probably caved in to more cheat days then I normally would give in to.. But hey, sometimes I am human. So now that I am getting stronger on my track it’s time to reckon with those demons and banish them off the track. Sugar does to your brain — the exact same thing smoking, alcohol and cocaine do. Studies show that Lab rats prefer sugar to cocaine. When given the choice between sugar, cocaine and alcohol those cross-addicted rats always choose sugar. Eating high-sugar foods lights up your brain on an MRI like a Christmas tree. The very same part of the brain that’s triggered by cocaine or heroine according to research by Dr. David Ludwig, M.D., Ph.D. The dopamine receptors are activated in the brain when sugar is consumed, and the more sugar that is ingested the more desensitized the brain becomes to the dopamine response and the more sugar is needed to maintain that high. When the brain starts reducing its number of dopamine receptors in order to keep things balanced “downregulation” is the reason we develop a tolerance. Eating wheat, flour and sugar in processed foods spikes our sugar, then insulin. These are the hormonal disturbances that make you store belly fat, and then you are hungry for more sweets and starchy junk food and the cycle continues from there. Controlling your insulin levels is one of the most important things you can do to optimize your overall health, and avoiding sugar is the key. Carbs are a poor choice as a pre-bed meal. Complex carbohydrates that is. The reason: Consuming carbohydrates will result in a significant insulin release. This will put the breaks on fat-burning. If that is your goal. Carbs are also much more easily stored as fat in the evening hours when metabolism is naturally slowing in preparation for sleep. You have very little opportunity to burn off that energy when consuming carbs at night – unless you have some nighttime activity or running a marathon the day after. Also, remember insulin production is partly influenced by your previous meal. The more carbohydrates consumed the more insulin produced. How do you know if you are Insulin Resistant or Carbohydrate Intolerant? Do not add carbohydrates in back-back meals or snacks because insulin production is partly influenced by your previous meal. The more carbohydrates consumed the more insulin produced. 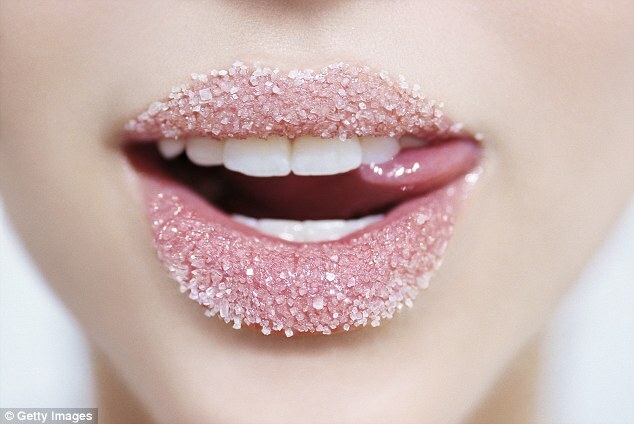 Just the mere taste of sugar on the tongue stimulates the release of insulin. About 40% or more of the carbs you eat is converted to fat and stored as body fat.. any wonder you have an excess amount? Insulin resistance or carbohydrate intolerance may be a precursor to Type 2 diabetes, heart disease and obesity. I too am insulin resistant and this has been a constant struggle for me in managing my weight. How I manage it is by keeping my complex carbs in small amounts. For instance I take one baked sweet potato and cut into quarters and only eat that quarter at that serving, in combination with protein so that it slows down the insulin rush. Adding a small amount of olive oil to them will also slow down that rush. As my complex carbohydrate sources, I stick mostly with sweet potatoes, and some white, yucca and butternut squash. Generally, I don’t eat grains or legumes. When I start to get a reaction I pull them out completely for a few days until my system is balanced. Your energy levels, sleep patterns, and hunger pangs will tell you when to put them back in, it’s a cycling effect. Insulin is a natural hormone made by the pancreas that controls the level of glucose (sugar) in the blood and allows the cells to use the glucose for energy. When glucose floods the bloodstream the pancreas has to pump out enough insulin to drive that glucose into cells. The more glucose, the more resistant your tissues eventually become to the effects of insulin so the pancreas has to secrete even more and work overtime. Diet certainly plays a factor but exercise can greatly improve insulin resistance. Resistance training- is one of the best ways to improve insulin resistance and glucose control. Creating more muscle tissue creates more insulin receptors, improving the absorption of glucose into muscles so that it’s not floating in your blood or being converted into fat for lack of storage space. As the muscle absorbs the glucose, the pancreas can now relax. Interval training- which alternates a relaxed pace with bursts of high-intensity movement – like HIIT Training, generates better glucose control than steady-state cardio. The intense contractions that fatigue muscles also break down carbohydrate stores in muscle. The muscles then become much more responsive to insulin as they attempt to replenish these stores. As discussed in previous blogs another reason to get a heart rate monitor. This will help heal yourself while you’re getting in shape and losing weight. Insulin resistance, is a major risk factor for the development of Type II diabetes.